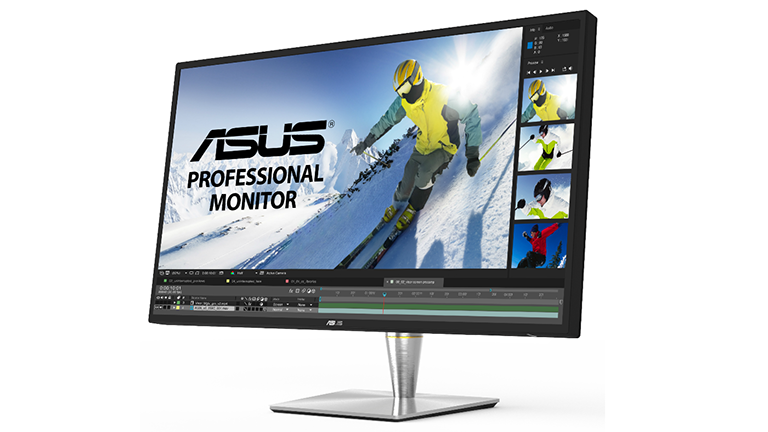 Asus, as part of its CES 2017 showcase, has unveiled the world’s first professional, direct-lit, LED 4K UHD HDR monitor. Named the ProArt PA32U, the monitor also delivers a peak brightness of 1,000cd/m2, which is achieved by a series of 384 LED backlit zones. In addition, the PA32U utilised quantum dot technology, a fact that allows it to deliver an incredibly wide colour gamut. Another quality of note is the PA32U's brace of Thunderbolt 3 USB-C ports, which deliver speeds up to 40GBps and support USB3.1 Gen 2 and DisplayPort 1.2. Full details of the system can be found on Asus' official website. In addition to the ProArt PA32U, Asus also revealed a second monitor, the Designo Curve MX38VQ. As you would guess from the name, the MX38VQ is a curved 37.5-inch IPS monitor which, as well as delivering an ultra-wide QHD resolution of 3840 X 1600, also packs a Qi wireless charging pad on it stand and features 8-watt stereo speakers incorporating Harman Kardon and Asus SonicMaster audio technologies. No prices or release dates have been confirmed for either monitor so far. Want more hot new tech from CES 2017? Then check out T3's curated list of the best gadgets we've seen.